If you want to train as a stage manager, you have three basic options: a conservatoire degree or diploma course, a university degree, or an apprenticeship. It’s unusual, however, to find a degree course that focuses entirely on stage management, although they are available – at Royal Birmingham Conservatoire, for example. Most, such as LAMDA’s Production and Technical arts degrees or Falmouth University’s Technical Theatre Arts BA (hons), teach a wide range of theatre skills through which the student finds their own specialist pathway as the course progresses. 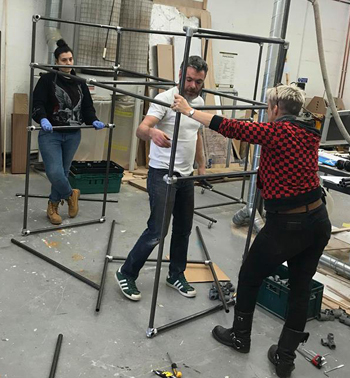 “Stage management and technical theatre training at higher education level gives students the opportunity to practise a range of skills that contribute to the many different elements of theatre production,” says Peter Hooper, technical manager at the Academy of Music and Theatre Arts at Falmouth University. A number of technical theatre courses – at both RADA and LAMDA, for instance – are taught as two-year foundation degrees. By law, any foundation degree student must be offered a way to top the qualification up to a full BA (hons) degree if they wish. That can be either in the same institution, or elsewhere by arrangement. That is why these degrees are sometimes labelled as two or three-year courses. 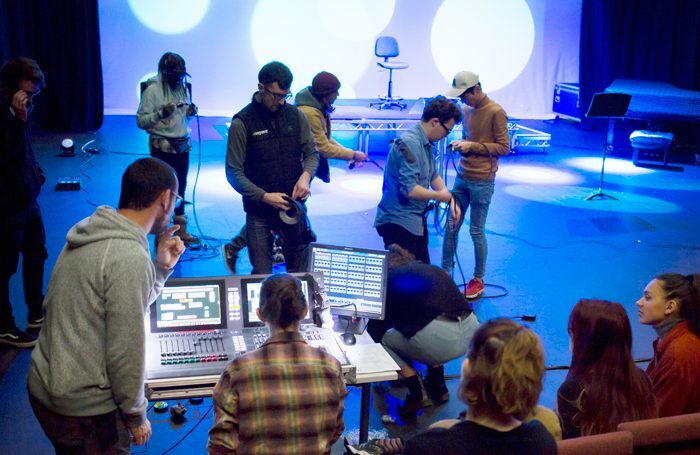 And the University of Wolverhampton offers a one-year BA top-up course in technical theatre which attracts students who have done a foundation degree or HND equivalent elsewhere. 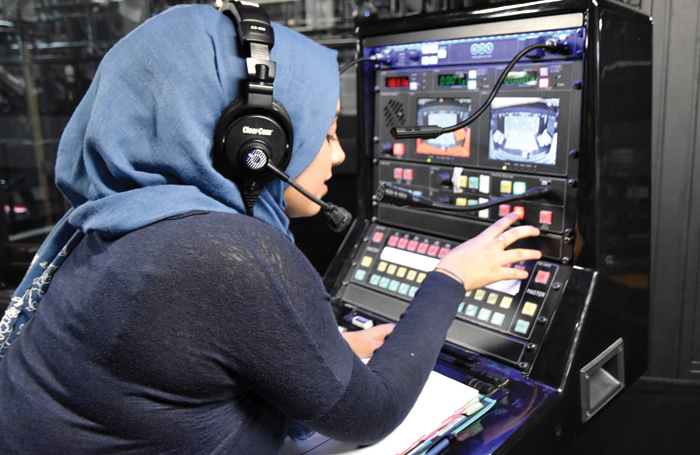 Some students committed to stage management do a BA degree in a related area of performing arts, or in something quite different before taking a postgraduate degree or diploma in stage management. Wade read classics at Durham (“There was a strong expectation from my family that I should do a conventional degree first,” she says) before doing the one-year Stage Management and Technical Theatre diploma at Guildford School of Acting. In the early 1990s when Wade took this route, the only postgraduate courses available were at GSA and Royal Welsh College of Music and Drama. Today, there’s more choice with postgraduate options for stage management available at a number of other drama schools including Bristol Old Vic and Mountview in London. Following up a first degree with postgraduate training is a costly option, however. It means another tier of debt on top of that accrued from the first degree. Master’s-degree students are now eligible for some student loan funding, but career development loans, which supported so many postgraduate students in the past, are no longer available. Traditionally, many stage managers simply learned on the job. “Some of my best friends in the business happened into stage management from other worlds and some even started out as performers,” says Wade. Today, most of the ASMs and DSMs she meets have done degrees or diplomas in drama schools, but an increasing number of apprenticeships are available. The Royal Opera House, National Theatre, Ambassador Theatre Group and various regional theatres offer apprenticeships and are worth checking out. These usually pay a modest wage, so that the trainee accrues no debt while he or she works alongside and learns from experienced stage managers while studying theory in a local college. 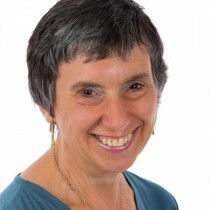 • Practical opportunities: Working on student shows is very useful practice. “The drama school route is where you are likely to get the most practical experience,” says Young. • Industry links: Your training should provide plenty of scope for meeting and working with professionals, so you begin to build a network of contacts that will lead to paid work later. • Past success: “Look for a well-established school with a proven track record of training successful stage managers and technicians,” says Young.